Good review. So I assume you listen to music all the time. What's one of the newer releases you've been listening to lately? For me it's The Black Keys--Turn Blue album. It's the first one I heard by them although I saw them play on Austin City Limits live, and they were pretty good for just two guys, but the newer album expands upon their sound. I do indeed listen all the time, or as much as I can. Always have...when I was a kid/teenager/college student I always listened while studying, doing chores, etc. Only time I didn't (and still don't) is if I'm reading or playing guitar (obviously) :). Even now, at work, I listen on earphones when working at my desk and if I'm going to be working in the same lab for a sustained period, in there, too. Well, now it's this Blur album that is the new release I've been listening to almost non-stop the last two weeks. Before that, it's been a pretty quiet year for me in terms of new albums. But so far I've really enjoyed Trail of Dead's (they're from Austin...ever listen to them?) new album from the tail end of 2014, and the new Charlatans and Neal Morse Band's albums (both from early 2015). 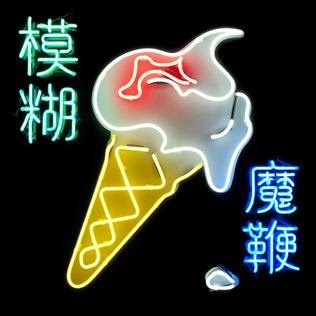 But this new Blur one is the album of the year for me, and not just because they've been a favorite band of mine for so long. It's really freaking excellent! I thought I read about Trail of Tears on here irrc, though it might have been elsewhere, although I've not actually heard their music. I do like Neal Morse and the band he came from a lot, Spock's Beard, who have a new album coming out soon. Plus I haven't picked up their last one yet, but want too. I'm pretty sure I'd like anything by them. I'll have to find an album by Blur and give it a listen. Course you can always listen to YT for songs etc. But sometimes hearing the whole thing is more revealing (and sometimes you can find that on there too). I've not registered for Spotify yet either, another good resource. The most recent Spock's Beard album from two years ago was incredible...easily their best since Neal left (although I did like the ones with Nick as frontman). And Trial of Dead, I've been a huge fan of them since they first came out...if you're into prog rock crossed with noisy Husker Du-type power chords, you'll dig them. It still begins and ends in the same places, but the songs seem to sit together more harmoniously. Give it a try! Just realised I added that as a new post instead of a reply...sorry! I felt the same about Lonesome Street leading in to New World Towers. It immediately puts the breaks on the album and made me resent NWT when it's it's actually a very good song! I think the same thing happened for me with I Broadcast. On the album as released, it struck me as a tired blast of punk dumped awkwardly in the middle of a mature sounding album. But placed after Lonesome Street it sounds great! I know what you mean about Mirrorball closing the album. I tried a couple of arrangements with There Are Too Many Of Us as the last track. The abrupt ending seemed like a great way for the album to end, but it left the rest of the album lacking. At one point I had Mirrorball as track 5 and Pyonyang at the end, but Pyongyang seemed a little too dark for a closer.. I can see you thinking Pyongyang a dark and heavy closer but I think that's why I like it in that slot. Mirrorball is a fine song but the album just seems a tad unresolved to me when it's over...it's a bit unsatisfying. New World Towers I'm still on the fence about as it sounds nothing like a Blur tune, sounds 100% a Damon solo track to me (which is fine, but out of place on this album). I just tried swopping the positions of Mirrorball and Pyonyang in my alternative running order, and you're right, Pyongyang is a killer closing track. That double chorus near the end is epic (the phrasing of Graham's backing vocals remind me of 80s Bowie for some reason) and the coda drifts off nicely. Also, Mirrorball sounds much better nestled between other tracks. Scott, totally agree. New World Towers is a fine song and Blur as a band do a nice job on it, but it sounds so out of place it sticks out like a sore thumb on TMW. As you said, would've been perfect on Everyday Robots. I had initially thought My Terracotta Heart also sounded too much like an ER track (it's very similar to Hollow Ponds in the verse melody) but the chorus is gorgeous and the more I listened to it, it sounded like Blur. NWT just never gets there, to me.